We have created this tool for Social Workers to help guide the assessment of cases where FGM is a concern. This Tool does not replace professional judgement and only provides recommendations. We recommend you work your way through the chapters to ensure a holistic assessment from referral onwards. The tool has two elements: Best Practice Guidance (which can be downloaded as a hard copy or viewed online below) and an Online FGM Assessment Tool which, based on the information you give, generates a risk level and relevant alerts regarding Mandatory Reporting and more. This section covers what to do when you receive a referral from a concerned party including researching the background of the family, things to consider and planning a visit. Do not assume that families from practicing communities will want their girls/women to undergo FGM. Many families are against the practice and may need support to protect their daughter(s). Research the background of the girl/woman (when known) to gain a better understanding of their culture, ethnicity, religion, gender roles and FGM prevalence. You may also want to research any coming of age or other key celebrations that groups may partake in. You can use our Interactive FGM Prevalence Map to help with this research. Families will rarely use the term “FGM” so we recommend you refer to our Terminology Guide to research what term the family may use. On visiting the family you should also ask what term they use. If it’s suspected that a female child has undergone FGM, a medical examination of that child should be undertaken ASAP, in line with your local authority safeguarding and sec 47 procedures. If there are no trained FGM paediatricians within your Sexual Assault Referral Centre (SARC) in your local authority, children can be referred for a medical examination at University College London Hospital (UCLH), where there is a specialist FGM clinic for children, with trained FGM paediatricians. A referral form can be found here. Ensure that you use a trained female interpreter, (preferably the same interpreter for every visit) who speaks the same language and dialect as the girl/ family. Do not use other family or community members to interpret. Inform the interpreter that you will be talking about FGM and ascertain her views on the subject to ensure she does not agree with the practice. Be aware the interpreter may be a survivor of FGM as well. Be considerate of the fact that many families and individuals may be frightened of contact with statutory agencies, such as social care, as they may have been told that they could have their children removed from them. If appropriate, seek professional immigration advice regarding families in the asylum system fleeing from their country of origin for FGM or other reasons. We have developed a question guide that can help you gather information for a holistic assessment. The questions cover family background, views on FGM from family members, safety strategies and what support a family may need. Please familiarise yourself with the questions below prior to visiting the family. Please note each case is unique and some questions may need to be altered/ignored based on the case. You can access the question guide here or click on the image below. This section covers what to do when visiting the family, setting the scene, tips on working with families and girls and activities that can be used with the family to explore their background and understanding of your involvement. Consider the best place to meet the girl/women, which may not always be in the family home. Explore other places such as the office or a children’s centre. Ask the girl/women first where they are comfortable meeting. Be mindful of the different needs of each family, and do not make assumptions based on a girl(s) or families cultural/religious background. Do not treat all FGM cases the same, adapt your approach accordingly for each family. Most girls are cut between infancy and 15 years old although you can ask the women if she remembers around what age she was cut. Some women/girl(s) may not be aware that they have had FGM or which type, especially if they underwent the practice as an infant. To begin building rapport introduce yourself and get to know the family. You may wish to ask about the girl’s progress in school, likes/dislikes, if they have recently moved to the UK, how are they getting on etc. Be aware that a girl/women may not want to embarrass or bring shame on the family by talking openly about FGM. Try and speak to members of the family alone where appropriate and ensure they understand you are there to support them. If a girl (under 18) discloses during any discussions that she has been subjected to FGM please ensure you explain that social workers are under a mandatory duty to report this to the police. Reassure the girl she has not done anything wrong and she is not in trouble. A good way to explore various roles of professionals involved in the family is to do a ‘mapping exercise’. This exercise is a good way to ensure that the family have the opportunity to ask questions about your role. You can view an example below or download a blank template by clicking on the images below. A genogram functions as a tool to measure the cohesiveness and family relationships within a group. This type of information is invaluable for a social worker. 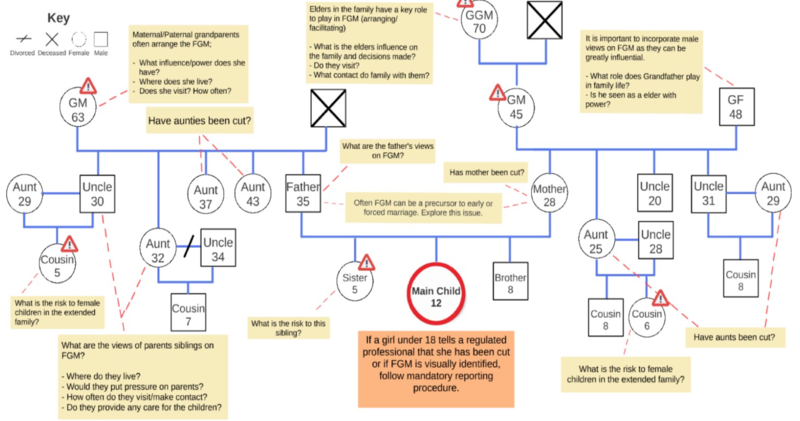 We have developed a genogram and analysed it as if it were a case where FGM was a concern. We have developed this FGM Assessment based on the Common Assessment Framework (CAF) which helps to evaluate the information you have gathered using the tools and guidance above. 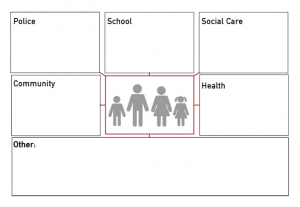 The tool highlights: Level of risk (low, medium, significant), Risk Factors, Safety/Protective Factor, Cases where parents have different views on FGM, Mandatory Reporting Duty Requirements, Immigration and Forced Marriage Alerts. You can download the report as a PDF, allowing you to upload onto the child’s records to compliment your assessment. Please note the results are a guide ONLY, we recommend you discuss the results with your supervisor and always use your professional judgement. This section contains questions you may want to ask yourself after the assessment, safety plans you may need to put in place and a next steps pathway. Below are questions you may want to consider at the end of your visit, in order to plan your next steps. Who, if anyone, poses a risk of FGM to the girl(s)? What needs to be put in place by the family/professional to reduce the risk of FGM? 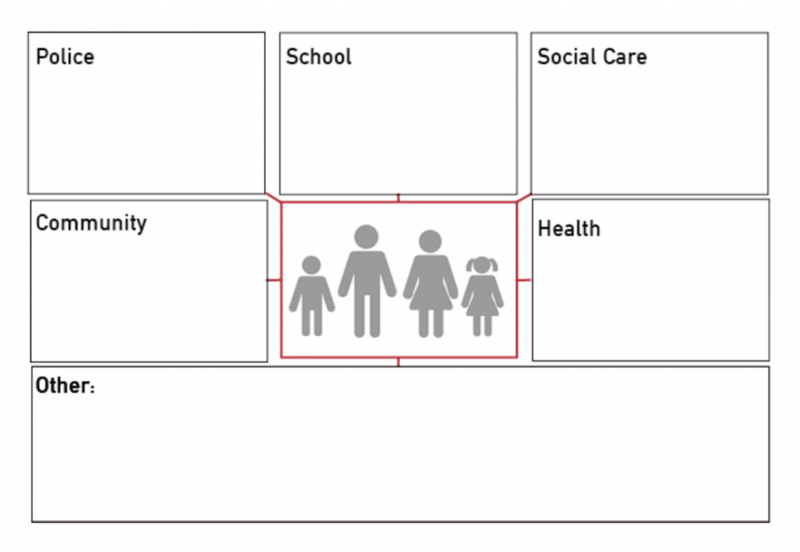 What are the families strengths/protective factors? Does the family have strong supportive networks? If the family has limited supportive networks or safety/protective factors, what needs to be done to increase them? Does the girl or woman need any additional support from a health care professional or counselling? Talking about FGM can be difficult and upsetting. If you have been affected by what you have heard after an assessment, you should speak to your manager or supervisor. Take a multi-agency approach and consult with all relevant expert agencies in the decision-making process. Ensure you signpost to FGM support services where appropriate. This pathway is to help you decide what to do next based on the Online FGM Assessment result and your professional judgement. The FGM Assessment Tool for Social Workers if to be used by social work practitioners only. The National FGM Centre cannot be held liable for any action you take as a result of the FGM Assessment Tool. Use of the FGM Assessment Tool for Social Workers is at your own discretion and you are free to take other action. Professional judgement must be used at all times. The FGM Assessment Tool for Social Workers is intended to help you put the assessment process into practice. For the Assessment Tool to be effective it may need to be adapted to the context of your particular circumstances. For any questions about the FGM Assessment Tool please read our FAQ’s or contact us.